Financial advisors are catching on to how beneficial it is to outsource their social media. 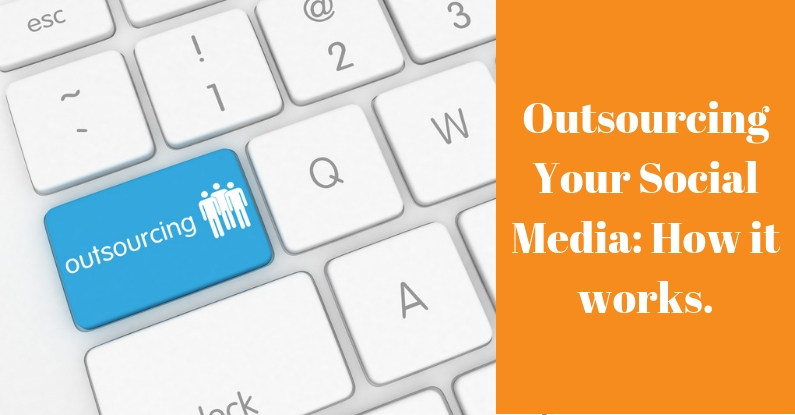 When an advisors works with an outside marketing company, they’re paired with a social media specialist (like me!) who creates posts that captures their brand’s values, promotes their original content, and most important, helps people relate to them as humans! (Not that we regularly see non-humans on social media, but that Swole Cat has quite a following). But even if advisors understand the benefits of outsourcing their social media, they often still have questions and concerns about the process that can hold them back from outsourcing. I email a social media calendar to each of my advisor-clients twice per month. The social media calendar is a document that includes the social media copy and any links that will appear on each of the advisor’s social media platforms from Monday to Friday. Then, the advisor or a member of their marketing team reviews the calendars. They usually have very little feedback, although I welcome it! I do have a client who likes writing his own quotes for Friday posts. But typically, I do all the writing and the advisors simply review and approve. Next, the advisor submits the social media calendar to their compliance officer. Once the compliance officer returns the document, the advisor sends it back to me. Lastly, I schedule the now-approved social media posts for each social media platform. As the posts go live, I monitor them for engagement (i.e. likes, clicks, comments) and engage back. But many of my clients enjoy responding to comments on their own. Advisors spend less time on social media creation when they outsource it—that’s the beauty of working with us! We free up advisors’ time so they can channel their energy into doing what they do best. But as you can probably infer from reading about our process, the advisors still have to put in some time. My quote-writing advisor says that he spends up to two hours per month reviewing the social media calendars while one marketing assistant for an advisor puts in 4 hours every month. While infrequent, the advisors also take time to complete annual holiday questionnaires and answer questions within the social media calendars. For example, if I’ve planned a National Book Day post, I may ask an advisor to tell me the title of their favorite book. Often times this doesn’t feel like work though, because who doesn’t love to reminisce about a great holiday or their number one read? When outsourcing, be sure to hire someone who understands the reality of compliance in the financial world. At Top Advisor Marketing, the social team and I are trained to write compliant copy. We know which words and phrases to avoid using. And if we’re ever unsure, we consult the compliance-experts on our team. As well, the advisors submit their social calendars to their compliance officer (and we insist that they do), and we make any corrections that are needed before scheduling the posts. And there you have it! Those few fears of outsourcing social media are easily managed when you hire a reputable company to manage your social media. Never be afraid to ask too many questions, and be sure you’re getting the answer you need to hear for your peace of mind.